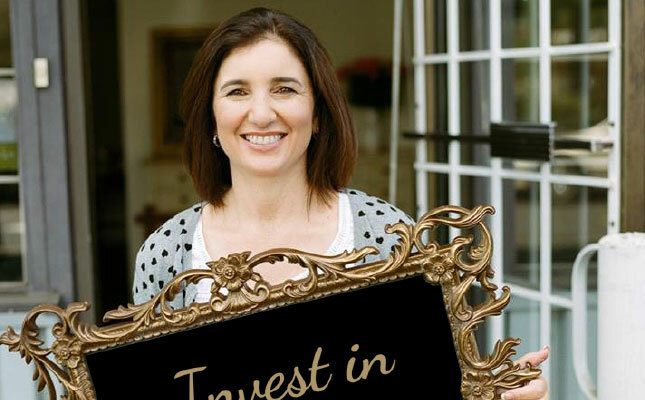 When I first started Restory(my vintage furniture and paint business), I invested $500 to $1,000 every month in my business. So I had the idea to start hosting students, to supplement my income (or lack of). I loved the students. I treated them as my own children. But I soon realized that’s no way to make money. My friend Rose came over one day, and mentioned she was hosting on Airbnb and encouraged me to check it out. After two years hosting students, I decided to renovate my son’s bedroom downstairs and turn it into an Airbnb suite. I talked to my financial advisor and he agreed the best thing was to invest in the renovation. Per my calculation I would spend almost $20,000 in the renovation (I came under budget, by the way) and would make about one thousand a month in revenue. That suite started making $1,200 a month on average. Higher season, a bit more. Lower season, a bit less. One day I realized I was working at ReStory for 4 years and breaking even (still had debt from opening my shop). On the other hand, the Airbnb suite had paid itself completely after 2 years, and now was paying my bills. So I decided: I want MORE. I was always very interested in real estate. I just thought from my experience, having an investment property would be a more profitable business than having a vintage furniture business. I asked my mortgage broker if I could borrow $400,000 to buy a condo in North Van or Vancouver. She said no, I couldn’t do that because I had too much debt. I tried twice, with my miracle mortgage broker, which had operated miracles for me before. Then my friend Pam and I became members of Keyspire – the Scott McGillivray and Michael Sarracini Real Estate Club – and another world opened up. I started meeting a lot of property investors as well as real estate agents and mortgage brokers. I asked another mortgage broker for money to buy a condo. He said he could do $200,000 but not $400,000 as I wanted. I didn’t want to invest in Eastern Canada, so I decided to continue plugging along and working on my furniture business until I could actually find a solution for my real estate dreams. As you can imagine if you know me, I was speaking about being an Airbnb host and also about building my real estate EMPIRE to EVERYONE! My friends, my clients, strangers… everyone that met me knew I wanted to do this. One day I was at the shop after an emergency trip to Brazil, in September 2015. My friend Kika called me and said she couldn’t contain her excitement and couldn’t wait to speak with me in person. She said she and her husband wanted to buy a house in the Sunshine Coast and wondered if I wanted to do a joint venture with them (since I was always saying I wanted it). This time it was easier to qualify, because we were now two couples buying together. Long story short, the Log House was bought in October 2015. We were going to take possession in January 2016 and I was wondering how I was going to do the renovations, furnishings and manage it, still working at ReStory everyday 7am to 10pm. I approached a friend that had a shop and was looking for a location. I thought it was a perfect opportunity to share the space and help each other. It would free some of my time so I could join Kika in renovating and furnishing the Log House. My friend came back to me with an unexpected proposal. She asked if I had thought of letting go of the shop completely. I hadn’t thought of that. Not at that time. I thought about it and decided that yes, I wanted to let go of the shop and dedicate myself to real estate investment. It was hard to close ReStory, but 2016 was amazing! I have learned so much and I will tell you all about it! You can read about the Log House here.